The Vampire Diaries Round Table: Was the Finale Epic? On The Vampire Diaries Season 8 Episode 16, Stefan sacrificed his life for everyone else. How did our panelists react to the epic finale? The Vampire Diaries Round Table: Is Bonnie Dead?!? Will Bonnie Bennett survive the series finale of The Vampire Diaries? Our panelists debate how the end of this iconic series will go down. Read on! The Vampire Diaries Round Table: Look Who's Back! Our panelists have a lot to discuss after The Vampire Diaries Season 8 Episode 14. Such as: do they want to actually see Katherine Pierce? On The Vampire Diaries Season 8 Episode 13, Kai made his grand return to Mystic Falls, but what for? We have the full round table discussion for you. The Vampire Diaries Round Table: Kai Is Back! On The Vampire Diaries Season 8 Episode 12, Kai made his return to Mystic Falls, but what does he want? Gather around for the full debate! On The Vampire Diaries Season 8 Episode 11, Enzo was murdered by Stefan and our panelists react in shock. Read on to find out their take on a polarizing episode. The Vampire Diaries Round Table: Who SHOULD Have Returned? On The Vampire Diaries Season 8 Episode 10, there were a lot of returns, but did they benefit the overall story? We have the round table discussion! The Vampire Diaries Round Table: Steroline and...Satan? Stefan and Caroline got engaged on The Vampire Diaries Season 8 Episode 2! We're here with another edition of the TV Fanatic Round Table to break down the proposal and more! The Vampire Diaries Round Table: The First of the Last! 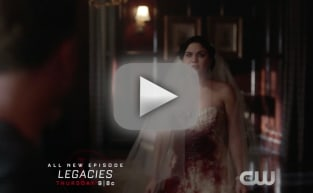 It's the first of the last The Vampire Diaries Round Table for TV Fanatic! Come join us as we chat about The Vampire Diaries Season 8 Episode 1 and break it down! The Vampire Diaries Round Table: Dark Denzo Alert! On The Vampire Diaries Season 7 Episode 22, Damon and Enzo went dark as they got stuck in the vault. How did our panelists feel about it? Follow the jump! The Vampire Diaries Round Table: Bonnie The Vampire Slayer! On The Vampire Diaries Season 7 Episode 21, Bonnie Bennett became the vampire slayer, but how good was she at taking her enemies down? Follow the jump for the debate. The Vampire Diaries Round Table: Bonnie is The Huntress! On The Vampire Diaries Season 7 Episode 20, Bonnie got a transformation that will change her forever. How did our panelists feel about this big change? Read on!